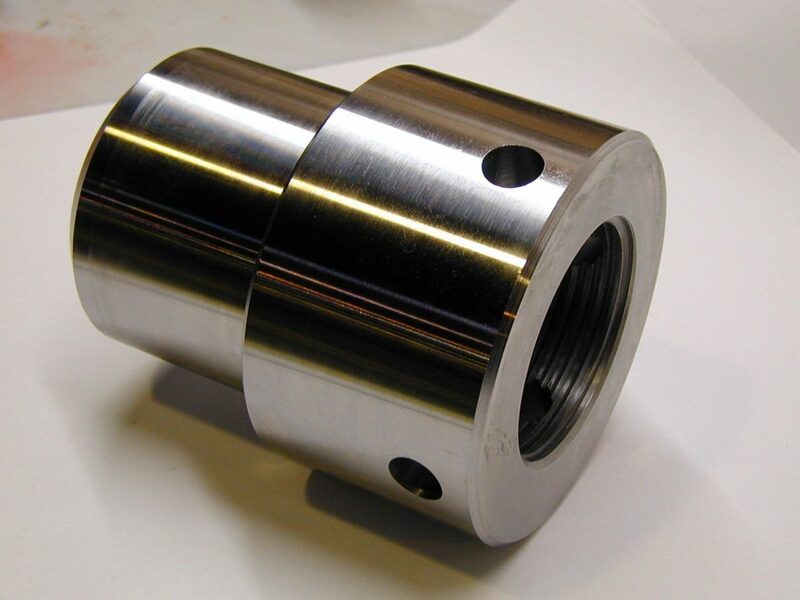 Mir50 is a (modified) Custom 450® pump shaft stainless steel that blends toughness and corrosion resistance into one steel. Mir50 is a precipitation hardening, martensitic stainless steel which does exhibit corrosion resistance similar to your 300 series stainless steels but with nearly three times the yield strength. Typical hardness is Rockwell “C” 26/30. Typical tensile strength is 140,000 PSI. Mir50 offers excellent resistance to galling, corrosion and shock in severe service applications. Well known as the “4340 of the stainless world”. Agency concurrence includes API-6A, FDA, AMS-5763 (chemistry only) and NACE MR-01-75-097 revision. Consider using Mir50 in place of certain commercial grade stainless steel including: 416, 410, 17-4PH, 304L, and 316L depending upon the requirement. Material is offered in three options depending upon your requirements: Pump Shaft Quality (PSQ) Shafts, Rough Turned Oversize (RTOS) Bar Stock, and as (RTOS) Bushing Stock. Call or email us for a quote. Corrosion Resistance – Similar to that of 316L Stainless, Mir 50 is engineered for use in severe service applications. Most commercial stainless grades fight corrosion but lack strength. Alloy grades and hardenable stainless grades have strength but lack corrosion resistance. Mir 50 does both. High Strength – Mir 50 is a thermally hardened martensitic stainless alloy. It has similar strength levels like a 4340 Q&T alloy bar product with approx. 140KSI tensile strength. Austenitic grades, such as 304 and 316 stainless, require strain hardening or cold reduction to obtain their hardness. As the shaft size increases, the hardness, strength, and wear resistance, drop off substantially. Mir 50 is thermally treated, the hardness and strength properties remain virtually constant, from the smallest to the largest bars. Double Stress Relieved – Mir 50 shafts are shipped virtually free of retained stress. This material will be a welcomed change from the warp and bend, common to other stainless grades. Because Mir 50 has “low memory” properties, these shafts will not exhibit the “movement” and “walking” commonly experienced when machining 304, 316, and other stainless grades. Ease of Machining – Mir 50 machines easily. It is not gummy, and it will hold a bright finish. Because Mir 50 machines easily, there is little induced stress to cause movement once the shaft is in service. You save time and money by getting the shaft into service quickly and eliminating many of the previously required straightening operations. Non-Galling – Mir 50 is non-galling. It is compatible with almost every other stainless grade, as well as carbon and alloy grades of steel. Maintenance people will find that hex nuts, caps, and collars come apart easily for inspection, replacement and repair. 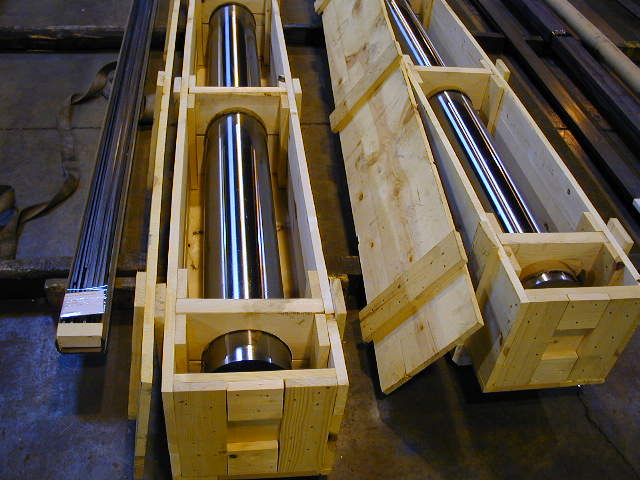 Pump Shaft Straightness – Mir 50 has been specifically designed as a maintenance material suitable for pump shaft applications in highly corrosive environments. It is strong, machines easily, and stays straight during machining and in service. Mir 50 is also available with a semi-finished, oversized, surface finish, so that the size will make the size. 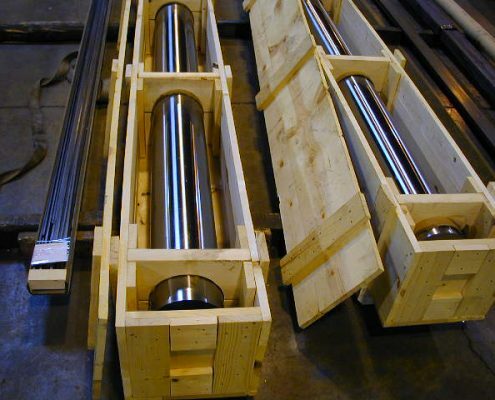 Specify semi-finished pump shaft stock when you do not require TG&P stock. Pump Shaft Straightness ONLY = .005″ in the first 5 feet, plus .0015″ for each additional foot. We take extra precautions to protect small diameter bars with longer lengths but straightness is perishable. Sizes that are marked with an asterisk may have modified analysis at mill discretion relative to production requirements. NASS 45® is the past protected tradename of North American Steel Company. RH4500 is the past protected tradename of Ludlow Steel Company.